ONE ONLY - EXTRA LONG - EXTRA SMALL! 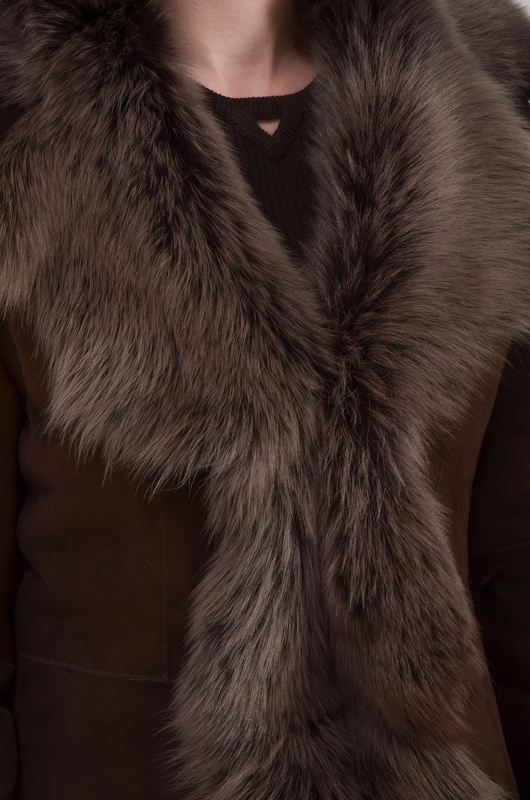 Ladies finest quality longhaired Chocolate Snowtip shade Toscana Lambskin coat. Luxurious full collar can be worn open as pictured or buttoned high in the neck, slimline fitted body, set in tailored sleeves with turn back cuffs, fastens with buttons and buttonholes. All the outer edges have been left unturned, in their natural ragged shapes, to give an extra soft feel and a more modern look. Comfortably placed pockets.